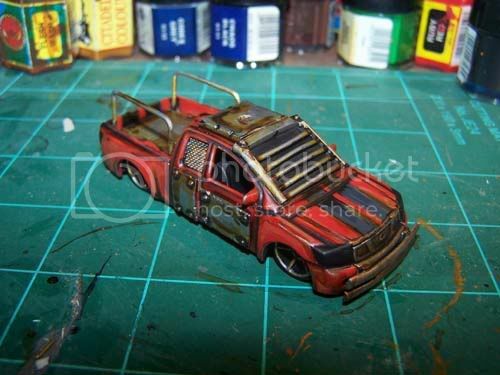 My 1st this week is big-red, no good for off road but it looks great.. 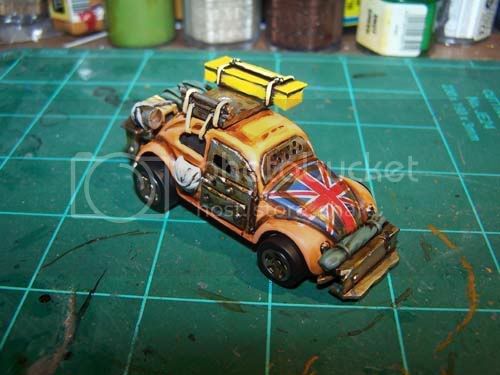 The second this week is another beetle, Once again with the british flag motif, and plenty of baggage. Pretty much done with the cars for the moment and will be waiting for the main rules to come out to get driving.